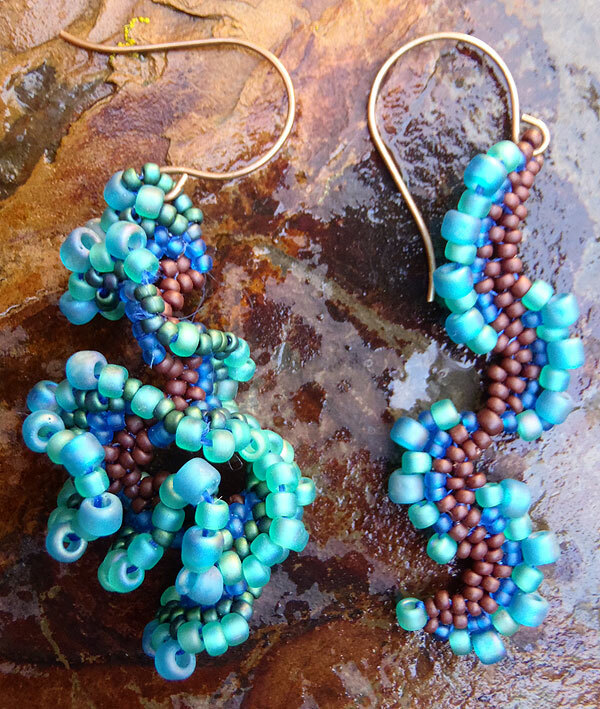 One of my students in my freeform peyote ruffles class this weekend was determined to recreate this set of earrings I'd made as a sample. It had never even occurred to me that someone would want to do so - the class was focused on creating original pieces after all. But hey, I'm game. 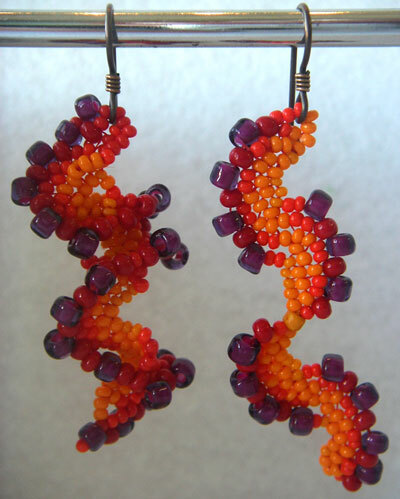 I think we did a pretty good job in class, just by looking at the bead structure. But yesterday I decided to check my old files and sure enough, I had taken process photos as I made them, thinking I might use them in my book. So, here you go Amy; I put together a Photo Essay outlining the steps to make both earrings. The right earring is a flat spiral, while the left earring ruffles out and has cross bridges to link the ruffles. Since I hadn't intended it as a pattern, the stitching pattern is somewhat erratic. That being the case, I decided to make another pair to sort out the pattern. So far, I've made two more pairs. I fixed the pattern and then played with different ideas, and now have actual, someone-could-follow-it patterns. Can you believe it? I plan to include them in the Freeform Peyote Ruffles ebook that I aim to publish before November 1st. 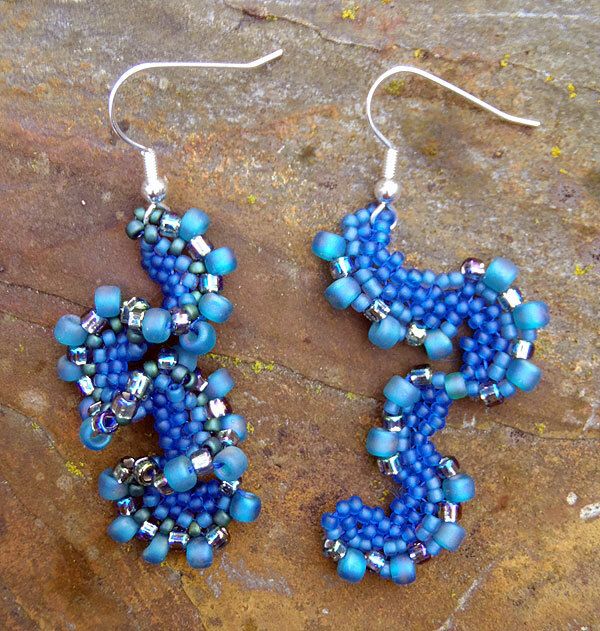 Starting with the 10-page handout from my class, I'm expanding it to 20 pages, including patterns for these earrings and a pendant. Thanks so much for posting this Karen! The shape and color of these beauties are what caught my eye and made me enroll in your class. So glad I did!! !